Nestled in the woods overlooking a wildlife refuge, this Alaska residence steals attention away from the breathtaking view. The 7,000-square-foot home is topped by a 12,000-square-foot copper roof of custom-designed shingles. Each 16-ounce copper shingle was hand-fabricated in the General Mechanical shop and transported to the jobsite. Fernace and Hartman, Berkeley, Calif.
Morrell Sheet Metal, Tampa, Fla. 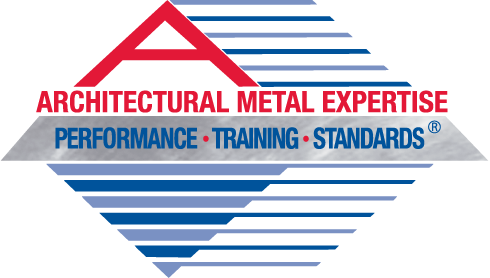 Architect: Vickers Metal Works Inc., Sheet Metal Contractor: Vickers Metal Works Inc., Sheet Metal Contractor: Vickers Metal Works Inc., Orlando, Fla. The craftsmen at Vickers Metal Works helped the owner of this modern residence turn his vision into a reality with this stunning entrance to his home.